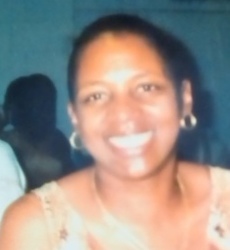 Leila Angela Laura Davis (Piggee) 56, of Long Branch, NJ departed this life on Sunday August 26, 2018. Leila was born on February 20, 1962 in Long Branch NJ to Barbara Davis and James Piggee. She attended Long Branch Public Schools and graduated in 1982. She went on to further her education in the medical field by obtaining her Surgical Technologist Certification. Leila worked as a Operating Room Technician at Riverview Medical Center in Red Bank NJ for many years. "Poopie," as she was affectionately called was always known for her infamous dance moves, humorous witty comebacks and her passion for taking care of her mother. Leila was predeceased by her grandmother Edith Holmes, her grandfather Louis Davis, her aunt June Williams, her father James Piggee, her brothers Michael and Omar Davis and her niece Atiana Davis. She leaves to cherish her memory her only child, her son Daniel Davis (Tamika), four grandchildren Daniel Jr., Zamayjah, Ziyanah and Zaniyjah Davis, her mother Barbara Davis Haymon; three brothers James Davis, Gregory Davis and Russell Haymon; two sisters Rosalind Davis and Cheryl Haymon; her 'mini me" her niece Angela Davis, her special aunt Laura Coleman "Spunky," her cousin who was like a brother George "Rasheed" Davis, her very special friends Karen Jeter and Deborah Jefferson they were like sisters; very special friend Honey Bun JW; Daniels dad David Carter (Seattle, WA) and a host of nieces, nephews, cousins, relatives and friends.